Avilés-Reyes, A., Miller, J. H., Simpson-Haidaris, P. J., Hagen, F. K., Abranches, J. and Lemos, J. A. (2014). Modification of Streptococcus mutans Cnm by PgfS contributes to adhesion, endothelial cell invasion, and virulence. J Bacteriol 196(15): 2789-2797. Avilés-Reyes, A., Miller, J. H., Simpson-Haidaris, P. J., Lemos, J. A. and Abranches, J. (2014). Cnm is a major virulence factor of invasive Streptococcus mutans and part of a conserved three-gene locus. Mol Oral Microbiol 29(1): 11-23. Abranches, J., Tijerina, P., Avilés-Reyes, A., Gaca, A. O., Kajfasz, J. K. and Lemos, J. A. (2014). The cell wall-targeting antibiotic stimulon of Enterococcus faecalis. PLoS One 8(6): e64875. Lemos, J. A., Quivey, R. G., Jr., Koo, H. and Abranches, J. (2013). Streptococcus mutans: a new Gram-positive paradigm? Microbiology 159(Pt 3): 436-445. Phan, T. Palmer, S. R., Miller, J. H., Abranches, J., Zeng, L., Lefebure, T., Richards, V. P., Lemos, J. A., Stanhope, M. J. and Burne, R. A. (2013). Phenotypic heterogeneity of genomically-diverse isolates of Streptococcus mutans. PLoS One 8(4): e61358. Kajfasz, J. K., Abranches, J. and Lemos, J. A. (2011). Transcriptome analysis reveals that ClpXP proteolysis controls key virulence properties of Streptococcus mutans. Microbiology 157(Pt 10): 2880-2890. Abranches, J., Miller, J. H., Martinez, A. R., Simpson-Haidaris, P. J., Burne, R. A. and Lemos, J. A. (2011). The collagen-binding protein Cnm is required for Streptococcus mutans adherence to and intracellular invasion of human coronary artery endothelial cells. Infect Immun 79(6): 2277-2284. Martinez, A. R., Abranches, J., Kajfasz, J. K. and Lemos, J. A. (2010). Characterization of the Streptococcus sobrinus acid-stress response by interspecies microarrays and proteomics. Mol Oral Microbiol 25(5): 331-342. Kajfasz, J. K., Rivera-Ramos, I., Abranches, J., Martinez, A. R., Rosalen, P. L., Derr, A. M., Quivey, R. G. and Lemos, J. A. (2010). 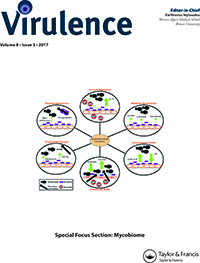 Two Spx proteins modulate stress tolerance, survival, and virulence in Streptococcus mutans. J Bacteriol 192(10): 2546-2556. Lemos, J. A., Abranches, J., Koo, H., Marquis, R. E. and Burne, R. A. (2010). Protocols to study the physiology of oral biofilms. Methods Mol Biol 666: 87-102. Abranches, J., Martinez, A. R., Kajfasz, J. K., Chávez, V., Garsin, D. A. and Lemos, J. A. (2009). The molecular alarmone (p)ppGpp mediates stress responses, vancomycin tolerance, and virulence in Enterococcus faecalis. J Bacteriol 191(7): 2248-2256. Abranches, J., Zeng, L., Bélanger, M., Rodrigues, P. H., Simpson-Haidaris, P. J., Akin, D., Dunn, W. A., Jr., Progulske-Fox, A. and Burne, R. A. (2009). Invasion of human coronary artery endothelial cells by Streptococcus mutans OMZ175. Oral Microbiol Immunol 24(2): 141-145. Lemos, J. A., Nascimento, M. M., Lin, V. K., Abranches, J. and Burne, R. A. (2008). Global regulation by (p)ppGpp and CodY in Streptococcus mutans. J Bacteriol 190(15): 5291-5299. Nascimento, M. M., Lemos, J. A., Abranches, J., Lin, V. K. and Burne, R. A. (2008). Role of RelA of Streptococcus mutans in global control of gene expression. J Bacteriol 190(1): 28-36. Abranches, J., Nascimento, M. M., Zeng, L., Browngardt, C. M., Wen, Z. T., Rivera, M. F. and Burne, R. A. (2008). CcpA regulates central metabolism and virulence gene expression in Streptococcus mutans. J Bacteriol 190(7): 2340-2349. Lemos, J. A., Lin, V. K., Nascimento, M. M., Abranches, J. and Burne, R. A. (2007). Three gene products govern (p)ppGpp production by Streptococcus mutans. Mol Microbiol 65(6): 1568-1581. Koo, H., Seils, J., Abranches, J., Burne, R. A., Bowen, W. H. and Quivey, R. G., Jr. (2006). Influence of apigenin on gtf gene expression in Streptococcus mutans UA159. Antimicrob Agents Chemother 50(2): 542-546. Abranches, J., Lemos, J. A. and Burne, R. A. (2006). Osmotic stress responses of Streptococcus mutans UA159. FEMS Microbiol Lett 255(2): 240-246. Lemos, J. A., Brown, T. A., Jr., Abranches, J. and Burne, R. A. (2005). Characteristics of Streptococcus mutans strains lacking the MazEF and RelBE toxin-antitoxin modules. FEMS Microbiol Lett 253(2): 251-257. Lemos, J. A., Abranches, J. and Burne, R. A. (2005). Responses of cariogenic streptococci to environmental stresses. Curr Issues Mol Biol 7(1): 95-107. Nascimento, M. M., Lemos, J. A., Abranches, J., Goncalves, R. B. and Burne, R. A. (2004). Adaptive acid tolerance response of Streptococcus sobrinus. J Bacteriol 186(19): 6383-6390. Abranches, J., Chen, Y. Y. and Burne, R. A. (2004). Galactose metabolism by Streptococcus mutans. Appl Environ Microbiol 70(10): 6047-6052. Abranches, J., Chen, Y. Y. and Burne, R. A. (2003). Characterization of Streptococcus mutans strains deficient in EIIAB Man of the sugar phosphotransferase system. Appl Environ Microbiol 69(8): 4760-4769. Phan, T. N., Nguyen, P. T., Abranches, J. and Marquis, R. E. (2002). Fluoride and organic weak acids as respiration inhibitors for oral streptococci in acidified environments. Oral Microbiol Immunol 17(2): 119-124.